What Teeth Do Babies Get First? - Adelberg Montalvan Pediatric Dental PC & Orthodontics too! What Teeth Do Babies Get First? Are you waiting for your child’s first tooth to come in? This is an exciting milestone for any parent and their child! However, if you are like many new parents, you probably have a lot of questions about when to expect your child’s first tooth, where it will come in and how to care for these tiny teeth. That’s why we’ve laid out everything that you need to know about your child’s first tooth below! When can you expect the first tooth to come in? Exactly when your child’s first tooth will appear can vary. However, you will likely see their first teeth coming in between 4 and 7 months, with the next coming in between 8 and 12 months. Keep in mind that it is normal for there to be variation in the times that your child’s teeth come in — so don’t worry if your baby begins cutting teeth earlier or later. What teeth typically come in first? The first baby teeth, also known as primary teeth, deciduous teeth, or milk teeth, are usually the bottom middle teeth. These two teeth are typically followed by the upper middle teeth coming in next. How do you care for tiny teeth? Although your child’s first tooth can be exciting, it can also be a long and difficult process. 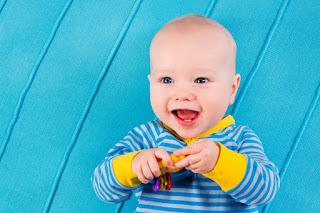 Fortunately, there are ways to help you alleviate your little one’s teething pain. 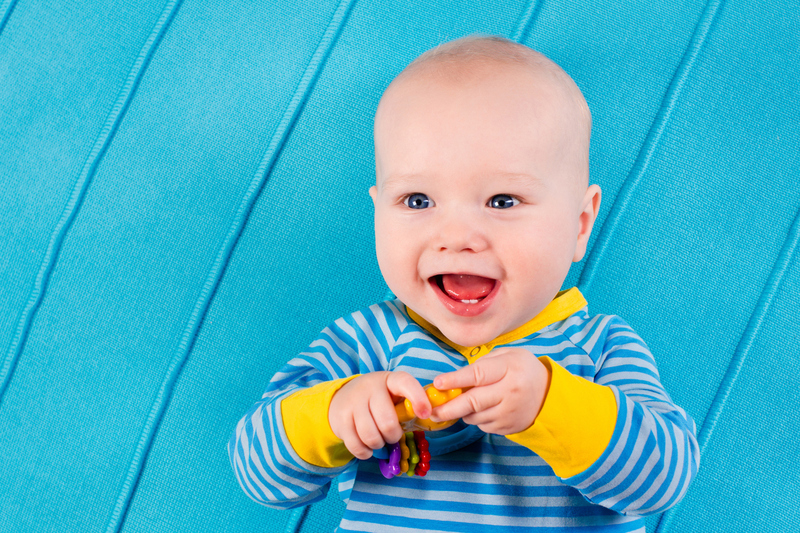 Give your little one soft rubber teethers and cloth toys to gnaw on while they teethe. You can also help soothe the main by massaging the aching guns with a clean finger and gentle pressure. If you have any questions about how to care for your little one’s teeth, do not hesitate to reach out to our office to schedule your child’s first dental visit! We are here to help keep their tiny teeth healthy for many years to come.